Authored by long-range shooting champion Nancy Tompkins, this book is a valuable resource for beginner and expert competition shooters alike. Supplemented with color photos and diagrams, the author uses her years of experience to help you develop basic shooting techniques, proper body positioning, and correct sling usage. Other chapters explain wind and weather compensation, match preparation, training methods, even how to prepare for travel to domestic and international competitions. Also includes a chapter dedicated to the fundamentals of F-class shooting. 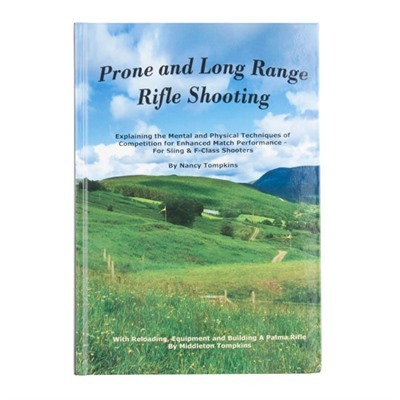 Plus chapters on reloading for long-range shooting and how to build a Palma rifle by Tompkins' husband Middleton, also a champ Mfg: Tompkins-Gallagher SPECS: Hardbound, 7 1/4" x 10 1/4" format, 382 pages.